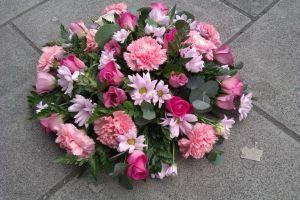 When it comes to saying goodbye to a loved one or friend it can be a difficult and upsetting time but we at Butterflies will do our best to create the perfect send off with a floral tribute created just for them with care, compassion and professionalism. You can call into our shop or give us a ring to discuss your requirements, we have a wide range of pictures in store for you to browse and choose from or we can design a tribute just for you. 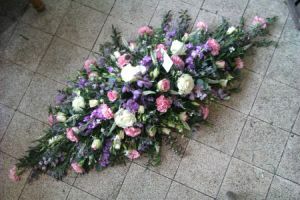 From a posy or coffin spray to lettering or a scooter to Bart Simpson, Mr Blobby or Bertie Bassett we cater for all.We endeavour to take as much stress out of the process for you as possible and can deliver your tribute to the funeral director directly or home address if preferred within Middlesbrough and it's surrounding areas. 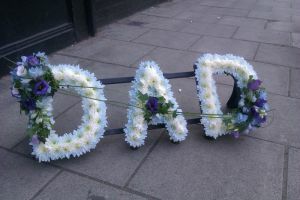 We can even liase with the funeral director to ensure this all goes smoothly so you don't have to.